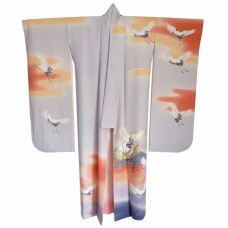 Beautiful boys in dark blue kimono with cranes, a crane nests pines. 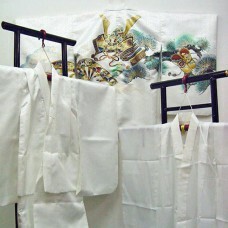 In Japan cranes symbolize happi..
Gorgeous kimono set for a boy: Juban, kimono and haori. The Juban is simply white. 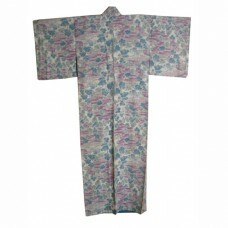 The kimono and ha..
Purple vintage hitoe kimono with roses.Dimensions: 150 cm long and 121cm from sleeve tip to sl.. 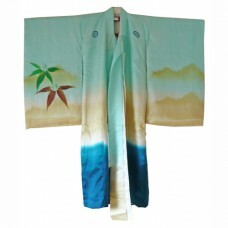 Wonderful blue-grey chririmen silk furisode with Mount Fuji, evening clouds and flying cranes. The l.. 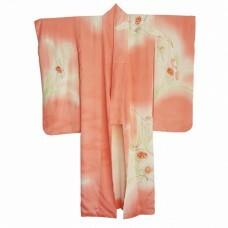 Wonderful peach silk furisode with 'suisen' narcissus flowers. 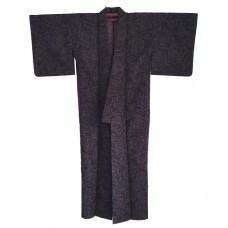 This furisode has some user marks, bu..
Beautiful silk vintage kimono with Japanese palaces and trees.The lining is beautifully finished wit..